Well, I just felt the need to do another one for some reason...mostly because I just love looking at pictures of Aaron! 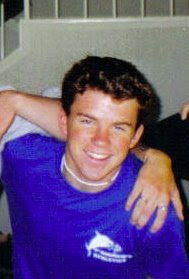 with a little puka shell necklace...how cute/funny is that? !